Omni Partners LLP is an investment management firm that partners with talented investment management teams to deliver opportunistic positive returns across a diverse set of investment strategies. Omni operates from offices in London and Irvine, California. Most recently redesigned in 2013, Omni’s membership website was not designed for optimum mobile display and performance. With over 80% of internet users now accessing the internet on a smartphone, having a mobile-responsive website is a crucial part of any organisation’s digital strategy. We worked with Omni to improve their digital presence. 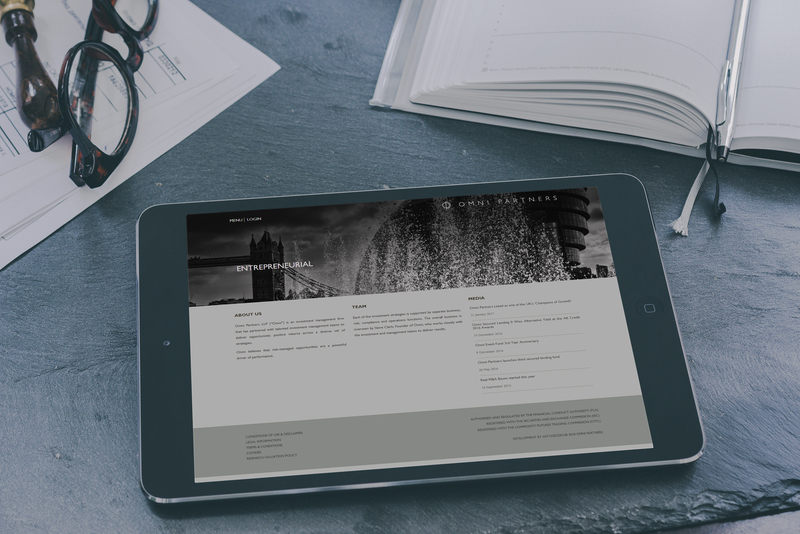 This included designing and developing a new responsive membership website and improving Omni’s Investor Portal. We built Omni a new mobile-friendly responsive website that fully incorporated the company’s branding. Having a new website design that is mobile-friendly now means that investors can access the Omni membership website information from any device. We built the new Omni site using our own in-house Content Management System (CMS): Cadenza. Omni employees now have full control over their website content without the need for an in-house web developer. This means Omni can regularly update the website, deliver new content to investors and easily edit on-site content. 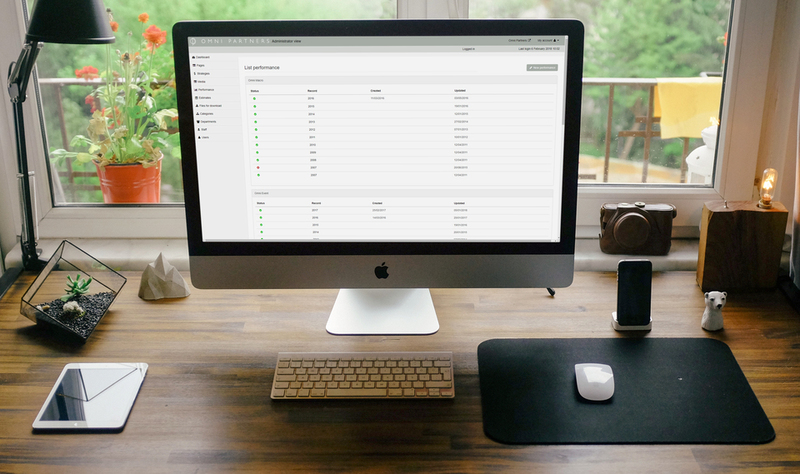 Cadenza is built on an industry standard open source framework allowing Omni to integrate the website with any new in-house IT systems, plugins and apps. Omni’s bespoke Investor Portal is a secure web-based portal where investors can access Omni strategy members-only content. Once logged into the portal, investors can access content relating to their investment strategy, including up-to-date event performance metrics and overviews, investor newsletters, fund documentation and fund updates. In the back-office section of Omni’s Investor Portal, Omni can set different user access levels per strategy when approving an applicant’s registration to view on-site content which is unavailable to public view: Prospective or Investor. Each access level determines a different level of content that is displayed on the front end of the Omni site. 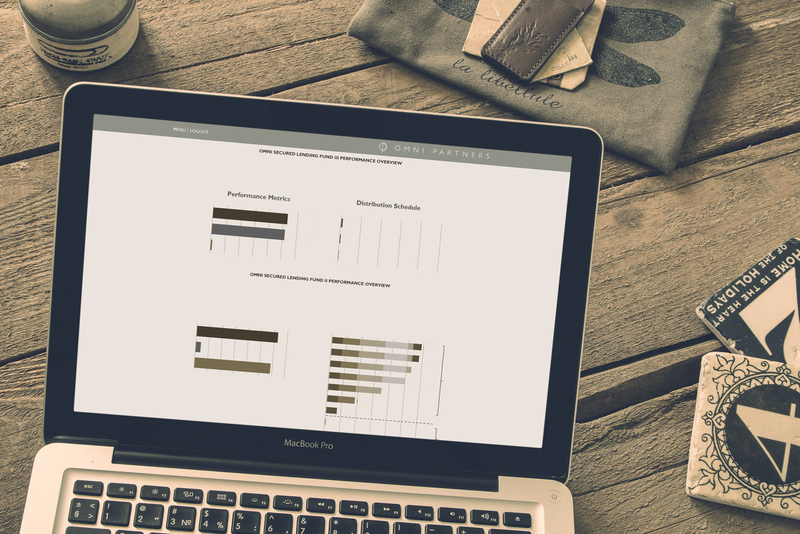 We also built a system for recording fund performance estimates, which investors can download as PDF files. Omni can upload and manage the fund estimates in the back-office, and this information is generated on the website’s front end for investors to access on their devices. Ready to become our next membership website success story? At Artonezero, we create membership websites that build user-engagement, increase new member sign-ups and help membership organisations retain their membership. If you would like to discuss your membership website with an experienced recognised Memberwise Supplier, book a callback today and one of our in-house experts will be in touch to discuss your project requirements.